Since 2013, the Editorial Board has been reorganized by specialized scholars. Now, the Editor-in-Chief is Professor ZHU Jingwen (朱景文) from Renmin University of China Law School; and two associate Editors are Professor ZANG Dongsheng (臧东升) from Washington University Law School (USA) and Professor ZHU Yan (朱岩) also from Renmin University of China Law School. The Editorial Board is made up 31 well-known law scholars which includes 14 members from overseas and 17 members from China by over 7 countries from 23 famous universities and other institutions. 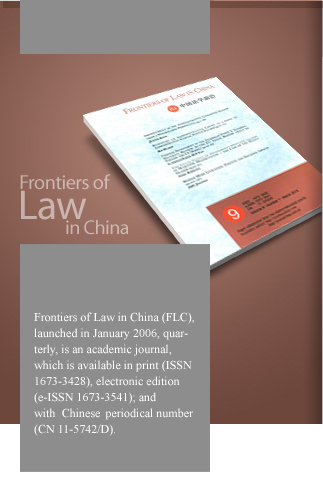 FLC has emerged as a leading publication of international law scholarship in China and key source of high-quality, English-language information about the Chinese legal system. FLC have well-positioned to make a world-class academic law journal in the immediate future.